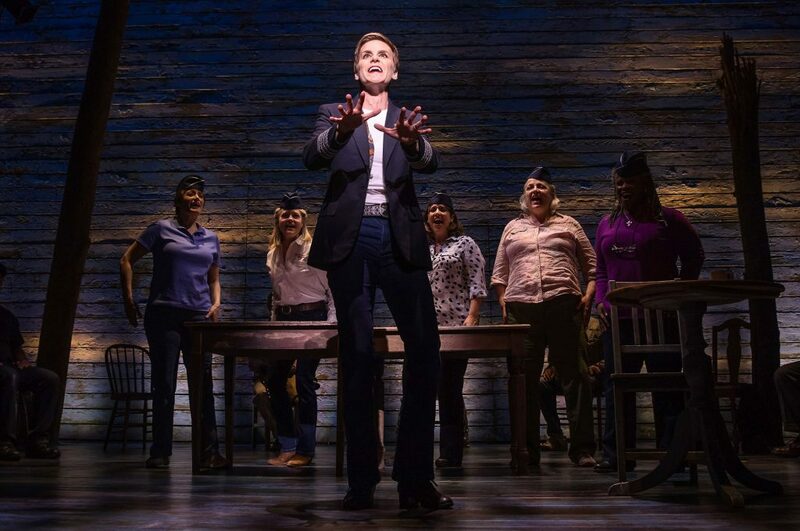 The crazy theater awards game of who was snubbed and what was over-praised is now in full swing after the Outer Critics Circle, Drama Desk, and Tony Awards have announced their nominations. Of course, there are others to come: The Lortel Awards, The Obies, The Theater World Awards, and more. But you have to start somewhere. Full disclosure, we are voting members of the Outer Critics Circle and the Drama Desk. We are not Tony voters. But then, again, as backseat drivers, everyone who loves the theater is a Tony Voter in their heart of hearts. Virtually all the nominees in every category are, in the best sense of the word, compromise decisions. Or, to put it another way, they are centrist decisions; in order to get enough votes to be nominated, the person or show has to be loved by enough people, just enough, to make the short list and get chosen. A nominator could love a show to death, but if there aren’t enough other nominators who agree, well, that’s the end of that. Thanks to the proliferation of theater awards shows, there is a wonderful tendency for one awards-giving organization to make up for the failings of another, and so on down the road. It’s a blessing. It is this second point that allows all of us theater geeks the opportunity to wipe some of the foam off of our lower lips. For instance, in our opinion, Richard Topol gave a stunning supporting performance in Indecent and the Outer Critics Circle caught him and honored him with a nomination. But neither the Drama Desk nor the Tony’s followed suit. By the same token, the Drama Desk reached out to find Picnic (Transport Group) and give it a much-deserved Revival of a Play nod. The OCC did not, and of course, the Tony’s only cover Broadway. And speaking of the Tony Awards, they went nuts for Natasha, Pierre and the Great Comet of 1812, giving it the most nominations of any show this year (12). In fact, the Tony’s should have been largely alone in honoring The Great Comet this season. After all, the show had a long history before making it to Broadway (opening at Ars Nova in the 2012-2013 season, then moving to a tent in the meat-packing district, then the production moved again to play in the same tent in the Broadway district). The Drama Desk gave it four nominations the year it first appeared, yet this season they nominated the show again, including nominating the show’s director, Rachel Chavkin, who had been nominated for the same work in 2013. Either the Drama Desk has changed its rules about double-dipping, or they made a very big blunder. They all loved Andy Karl in Groundhog Day even if they didn’t all love the show. They all went for Stephanie J. Block in Falsettos, and Kate Baldwin in Hello, Dolly! They all grabbed hold of Come From Away, Hello, Dolly!, and Indecent. And they all ignored Cats. More on all of the awards in a future column before the season ends – because, no doubt, there is more foaming to come.